According to the Samsung event that was held in Vietnam, the launch date of the Galaxy A8 and A8 Plus 2018 would be on the 6th of January 2018. 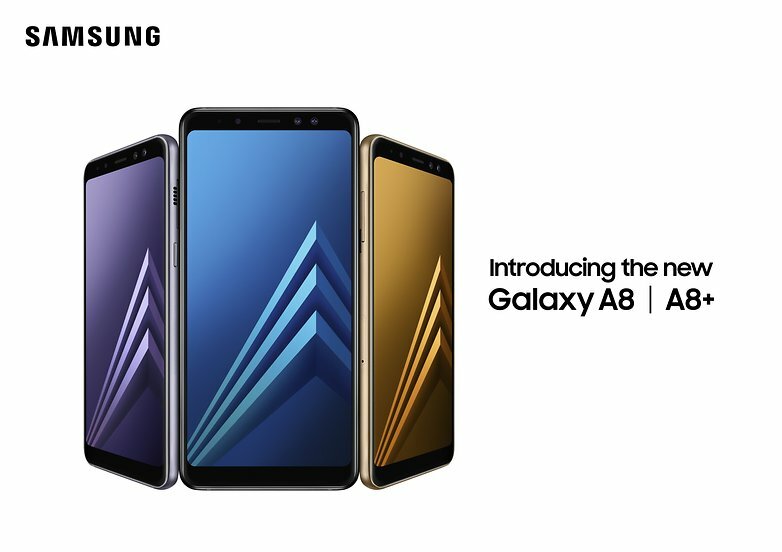 Samsung confirmed that the price of Galaxy A8 will be around $590 (499 euro) and $710 (599 euro) for Galaxy A8 Plus. Galaxy A8 has 5-6 inch display whereas Galaxy A8 Plus has 6-inch Super AMOLED. Both devices have same rear and front cameras with 16 MP + 8 MP sensors with water and dust resistance. Additionally, both A8 and A8+ have same color variants, which include Black, Orchild Grey, Gold and Blue. According to the leaked information, Galaxy J2 Pro turns out to be Galaxy J2 2018. Galaxy J2 is powered by Snapdragon 425 chipset with low-cost 5 “x 560” display. The sale price is expected to be around $137 (115 euros). The Huawei X series, which was released from Honor 4X to 7X, exceeded the cumulative 40 million units sold. The recently launched Honor 7X sold 30,000 units in China in the first two hours on November 11th and 20,000 units were sold out in an hour at three spot sales in India. The sales were double of Honor 6X during the first two weeks in London, but in Russia it was more than triple and it became one of the three biggest brands in Russia. In the United States, Honor 6X revenue increased 250% during the pre-order period from December 5th to 14th. Gizmo China predicted OnePlus 6 will be available in early March 2018. This is a somewhat predictable news because the information about the OnePlus 5T has been predicted so close to this medium that some speculation is possible and this is not the forecast of the medium, but this is the period when a lot of new products are released. It is not fully confirmed, but the current specs shows that upcoming OnePlus 6 flagship will be powered by Qualcomm Snapdragon 846 chipset. Apple apologizes for the performance limitations caused by the use of the old battery. According to the posted on the Apple homepage (click), Apple acknowledges the disappointment of the customer and announced a small support plan. Worldwide, customers who have an iPhone 6 or higher will get a discount of $29 ($79 / $50 off) for the expired iPhone battery replacement. Apple will support ‘Software Update’, which makes it easier to check the status of the battery. In spite of the Apple’s support, the anger of customers toward Apple is not fading. It seems Apple is to be involved in lawsuits in a number of countries, including the United States, France and etc. Samsung’s Galaxy S9 and Galaxy S9 Plus have completed US FCC certification. The model that is known to be certified this time is the SM-G960F / SM-G965F, an international unlocking model. As soon as the Galaxy S9 series completes the FCC certification, the early release of the S9 series becomes more realistic. The Galaxy S9 series will be released in a similar design to the previous Galaxy S8 and will be equipped with infinity display (5.8 -inch display / 6.2 -inch display for S9 Plus), 3.5-pie earphone jack, and Snapdragon 845.